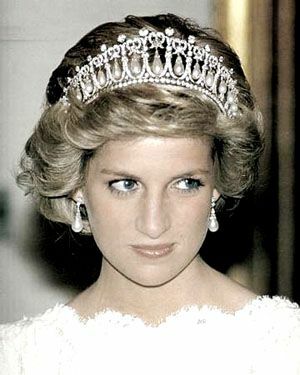 Tribute poems dedicated to Princess Diana on this page have been written by Conrad Aiken, Louise Bogan, Michael R. Burch, William Dunbar, Mary Lee Hall, Lewis Hamilton, Ted Hughes, Ben Jonson, Andrew Motion, Percy Bysshe Shelley and Oscar Wilde. an orchid ablaze in a crevice of stone? Was not your heart meant for tenderest passions? Surely your lips―for wild kisses, not vows! a pearl of enchantment cast before sows? come to be bound in a book of dull prose? except only that death is merciless. yet everywhere, no odor but rue. because it wants to—never that. Because it must. Diana, breathless, hunted by your own quick hounds. That only want to run. God is here, is gone. Love is broken on the Cross. The Flower on the Gun. we had nothing left . . .
yet we smiled, bereft, in her receding glow. I think she’s just you when you’re floating on air. let perpetual light shine upon them. Though I speak with the tongues of men and of angels, and have not love, I am become as sounding brass, or a tinkling cymbal. And though I have the gift of prophecy, and understand all mysteries, and all knowledge; and though I have all faith, so that I could remove mountains, and have not love, I am nothing. And though I bestow all my goods to feed the poor, and though I give my body to be burned, and have not love, it profiteth me nothing. Love suffereth long, and is kind; love envieth not; love vaunteth not itself, is not puffed up, doth not behave itself unseemly, seeketh not her own, is not easily provoked, thinketh no evil; rejoiceth not in iniquity, but rejoiceth in truth; beareth all things, believeth all things, hopeth all things, endureth all things. Love never faileth: but whether there be prophecies, they shall fail; whether there be tongues, they shall cease; whether there be knowledge, it shall vanish away. For we know in part, and we prophesy in part. But when that which is perfect is come, then that which is in part shall be done away. When I was a child, I spake as a child, I understood as a child, I thought as a child: but when I became a man, I put away childish things. For now we see through a glass, darkly; but then face to face: now I know in part; but then shall I know even as also I am known. And now abideth faith, hope, love, these three; but the greatest of these is love. Diana was the very essence of compassion, of duty, of style, of beauty. All over the world she was a symbol of selfless humanity. All over the world, a standard-bearer for the rights of the truly downtrodden, a very British girl who transcended nationality. Someone with a natural nobility who was classless and who proved in the last year that she needed no royal title to continue to generate her particular brand of magic. The last time I saw Diana was on July 1, her birthday, in London, when typically she was not taking time to celebrate her special day with friends but was guest of honour at a special charity fund-raising evening. She sparkled of course, but I would rather cherish the days I spent with her in March when she came to visit me and my children in our home in South Africa. I am proud of the fact that apart from when she was on display meeting President Mandela we managed to contrive to stop the ever-present paparazzi from getting a single picture of her—that meant a lot to her. These were days I will always treasure. It was as if we had been transported back to our childhood when we spent such an enormous amount of time together—the two youngest in the family. Fundamentally she had not changed at all from the big sister who mothered me as a baby, fought with me at school and endured those long train journeys between our parents' homes with me at weekends. It is a tribute to her levelheadedness and strength that despite the most bizarre-like life imaginable after her childhood, she remained intact, true to herself. My own and only explanation is that genuine goodness is threatening to those at the opposite end of the moral spectrum. It is a point to remember that of all the ironies about Diana, perhaps the greatest was this—a girl given the name of the ancient goddess of hunting was, in the end, the most hunted person of the modern age. She would want us today to pledge ourselves to protecting her beloved boys William and Harry from a similar fate and I do this here, Diana, on your behalf. We will not allow them to suffer the anguish that used regularly to drive you to tearful despair. William and Harry, we all care desperately for you today. We are all chewed up with the sadness at the loss of a woman who was not even our mother. How great your suffering is, we cannot even imagine. We give thanks to God for Diana, Princess of Wales; for her sense of joy and for the way she gave so much to so many people. Lord, we thank you for Diana, whose life touched us all and for all those memories of her that we treasure. We give thanks for those qualities and strengths that endeared her to us; for her vulnerability; for her radiant and vibrant personality; for her ability to communicate warmth and compassion; for her ringing laugh; and above all for her readiness to identify with those less fortunate in our nation and the world. Lord of the loving: hear our prayer. We pray for those most closely affected by her death: for Prince William and Prince Harry who mourn the passing of their dearly loved mother; for her family, especially for her mother, her brother and her sisters. Lord, we thank you for the precious gift of family life, for all human relationships and for the strength we draw from one another. Have compassion on those for whom this parting brings particular pain and the deepest sense of loss. Casting their cares on you, may they know the gentleness of your presence and the consolation of your love. Lord of the bereaved: hear our prayer. The Princess will be especially missed by the many charities with which she identifed herself. We recall those precious images: the affectionate cuddle of children in hospital; that touch of the young man dying of AIDS; her compassion for those maimed through the evil of land mines—and many more. Lord, we pray for all who are weak, poor and powerless in this country and throughout the world; the sick, among them Trevor Rees-Jones [the injured bodyguard]; the maimed and all whose lives are damaged. We thank you for the way that Diana became a beacon of hope and a source of strength for so many. We commend to you all those charities that she supported. Strengthen the resolve of those who work for them to continue the good work begun with her. Lord of the suffering: hear our prayer. I would be true, for there are those that trust me. I would be pure, for there are those that care. I would look up, laugh, love and live.